Sandy Wallace, who represents Stonehaven and Lower Deeside, resigned from the local Tory group yesterday and is now an unaligned independent in the opposition. In a statement published yesterday on social media, Mr Wallace said he had taken the decision due to having “no faith” in the leaders of the council and could not “put if off” any longer. Mr Wallace said: “Yesterday I resigned from the Conservative Group of councillors on Aberdeenshire council. 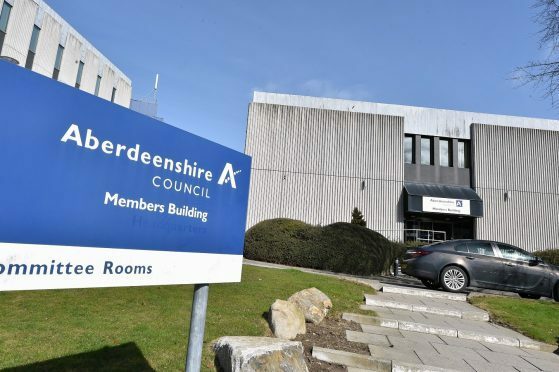 “I have no faith in the Prime Minister – and it turns out I am not alone – nor in the leader or deputy leader of Aberdeenshire Council. “This has been true for over a year and can be put off no longer. “There are important votes on the council early in 2019 where I will be unable to support the Administration position; on parking charges; waste management; the Local Development Plan and, of course, the Council budget. His former party has wished him well. Council leader Jim Gifford said: “Sandy Wallace has resigned from the Conservative group, which is unfortunate, but we understand his reasons for doing that. The move means that the Tories can now call upon the same number of members as the opposition SNP group. It comes after Sebastian Leslie quit the party earlier this year after he was found to have brought the party into disrepute by failing to pay his council tax in what he claimed was a political protest against the Scottish Government. However Mr Leslie remains on the administration as part of the Aligned Independent group.